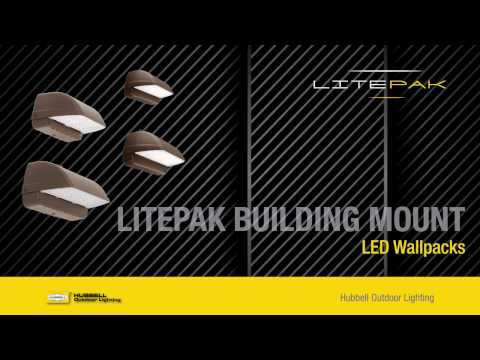 Hubbell Lighting Litepak Collection LNC2 Series 12 LED Wallpack in bronze finish, features die-cast aluminum housing. This wallpack comes with 28-Watt LED lamp that has voltage rating of 120 - 277-Volts and current rating of 0.24-Amp at 120-Volts, 0.1-Amp at 277-Volts, 0.1-Amp at 347-Volts, 0.06-Amp at 480-Volts. Lamp of the wallpack has color temperature rating of 5000K and color rendering index of 67 to ensure optimal light level in the surrounding. Lamp offers 2689 - 2716-Lumens of bright light output. This wall/recessed junction box mountable wallpack measures 5.6-Inch x 10.25-Inch x 6.25-Inch. 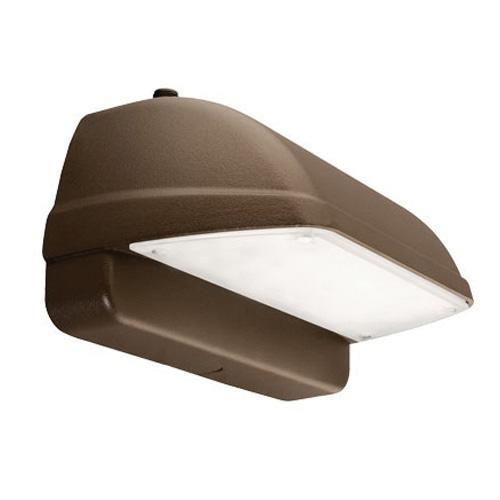 It is ideal for perimeter illumination for safety, security and identity. Wall pack is UL listed, RoHS compliant and cCSAus, DLC certified.